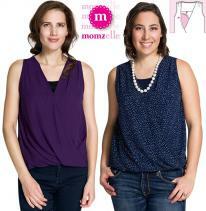 Momzelle breastfeeding apparel makes mothers feel confident and comfortable so they can breastfeeding anywhere...in XS-XXL! 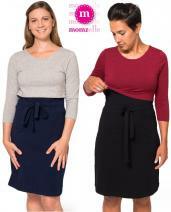 Designed in Canada, Momzelle offers all mothers high quality nursing clothes at affordable prices, without compromising on style! 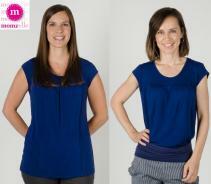 We choose their most feminine and practical styles to allow for discreet and easy breastfeeding. Momzelle breastfeeding clothes are made with high quality fabrics so their products remain beautiful and vibrant, even after many, many washes. 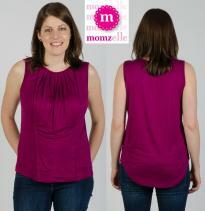 Momzelle offers a flattering fit, soft fabric, and really easy to use nursing openings for many figure types.